Just in time for the holidays, the World of Tanks Console team is bringing out a few themed items and events to finish of the year. The previously leaked Captured KV-1 makes its official appearance, able to train both German and Soviet crews. The (somewhat flashy) Chinese-American hybrid will also be aboe to train Chinese and US crews. I’ll certainly get one for a good cause. Sign in from December 15th to January 1st and you’ll recieve a holiday themed variant of the MTLS-1G14. A couple of modes to break the tedium of Random battles. A PvE mode called “Hunt the Krampus” (no details as of yet) and the return of the suction cup armed Toy Tank! Nice to see WG in the giving spirit this season. Especially after the uproar from last months bundles. Interesting choice for the MTLS as the giveaway tank this season. Its only been available as part of a founders pack available at the Xbox One edition launch. The reactions will be interesting. MTLGS will be fun to add to my collection of ridiculous gift tanks. Just saying, I swear the T1E6-X and X1 variants are really good on console when they have no right to be based on their stats. Captured KV1 is disappointing, rather than actually make a unique historical Panzerkampfwagon KV1A/B they just reskinned a TT (meaning it’s not even historical). 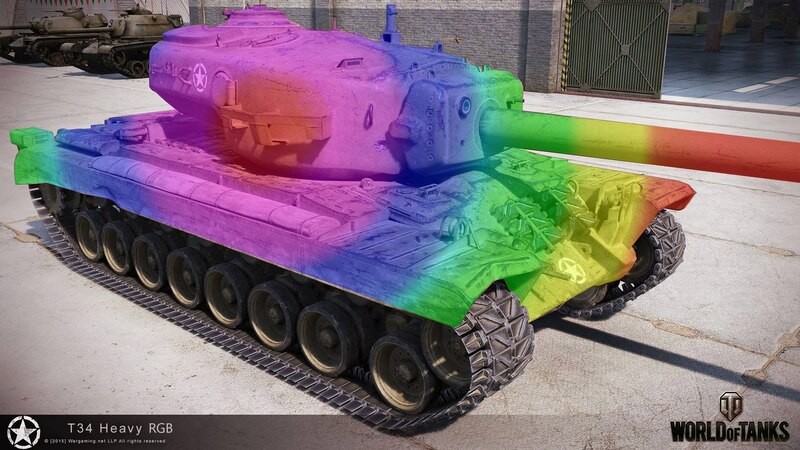 Fully agreed, this one is a pretty lazy reskin of a tank that most players already have. All they seem to be doing now is lazy reskins. then again america fits the model better than france anyway.